If You CARE, You Will PREPARE! If you CARE, you will PREPARE. When you truly care about something, you will prepare for it. If you care about having an incredible marriage, you will put effort into it. You will have purposeful time together. You will prepare moments free of the children so you can focus on each other. If you care about maximizing your money, you will prepare a budget. Obtaining a great financial education will be a top priority for you. There would be people in your life you view as your “money coaches” – persons who are winning with their money and can help you too! If you care about retirement, you will make saving and investing money a top priority. If you want to help your company succeed, you will show up to meetings completely prepared with the appropriate data, facts, and figures. You will have given substantial thinking time to what you want to accomplish with the meeting. If you CARE, you will PREPARE. Think on this throughout the next week and observe how the people in your life prepare for things. It will reveal how much they truly care. 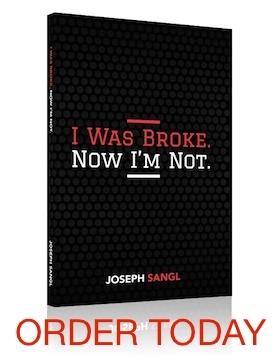 This post is part of a Leadership Series here at the wildly popular JosephSangl.com. Click HERE to read all of the posts in the series.